We may have had a rainy day on the Cape but we certainly made the best of it. My three friends and I (a third joined us in Cape Town) set out to visit Boulder Beach and the penguins (first photograph), Cape Point lighthouse (second photograph, looking back on the Cape with both sides of water) and make our way around to the west side to drive along Chapman’s Peak Road and the likes of the coast, then head to a winery for lunch. What was mildly entertaining was the flat tire we got right on Chapman’s Peak. Thankfully there were some nice folks that stopped to help out! 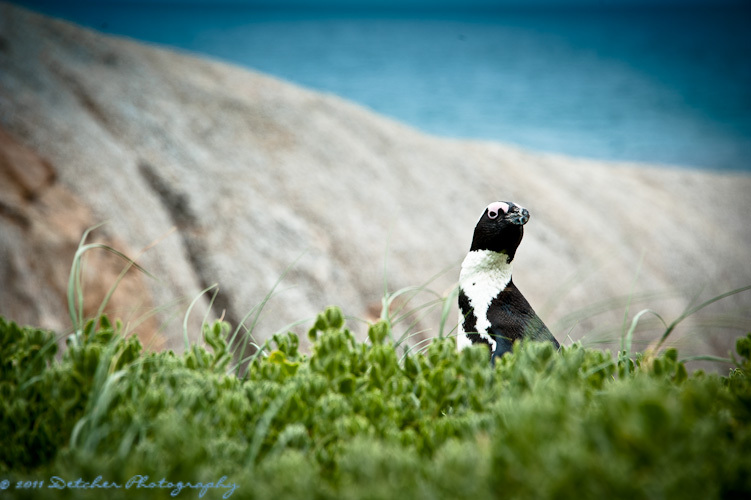 This entry was posted in Photography and tagged 365, Africa, Boulder Beach, Cape Point, Cape Town, landscape, nature, ocean, penguin, peninsula, photography. Bookmark the permalink.